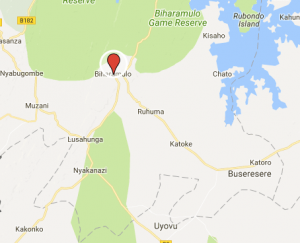 We are working in the districts of Chato, Geita Region and Biharamulo, Kagera Region in north west Tanzania approximately 200kms west of the city of Mwanza. We have been visiting this area and delivering various projects since early 2014. These two districts have a combined population of around 700,000 with a land area of approximately 10,400 square kms. This is equivalent to 25% of Holland or 40% of Rwanda and 160 times the size of Guernsey. Both districts are largely rural and the main activity is subsistence farming without irrigation. 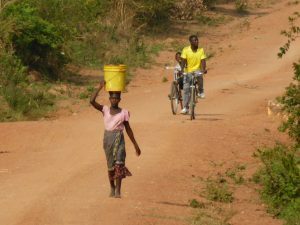 Tanzania is, itself, one of the world’s poorest countries and the rural communities face immense challenges with the majority of individuals living well below the poverty line. Lack of access to improved water, sanitation and hygiene is a particular issue and the incidence of waterborne diseases, especially among children under five, is widespread. People, mostly women and children, spend hours each day walking to collect and carry water from an unsafe source back to their homes. Opportunities for education and more productive activities are therefore curtailed and it is this lack of access to basic needsmeaning that whole communities remain trapped in poverty. And it’s not just about access to water. The vast majority (80%+) of people live off the grid with no access to electricity, distances are great and, for far too many, the only means of transport is walking making access to schools, health care and markets both time consuming and hazardous. There are solutions and our work is focused towards working in partnership with individuals, communities and local government to provide the opportunities to build better lives in a sustainable manner. 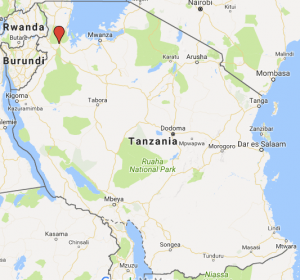 Currently members of Eleanor Foundation and volunteers visit Tanzania twice a year. These trips are carried out to review completed projects, to plan future activities, to assess the impact of our work and, through a close interaction with local individuals, communities and district governments, gain a better understanding of the many challenges that are faced. The costs of all travel, food and accommodation and transport within the country are covered entirely by the visiting group and at no cost to EF. There are no related galleries yet, click here to view all of our galleries.